On May 14th, the copyright board published a statement of proposed levies brought by the Canadian Private Copying Collective (CPCC). These levies- To come into force in 2012- would tax the sale of blank media such as flash and SD cards. The CPCC currently collects money from the private copying levy on blank CDs instituted in 1997. The money collected by the CPCC is distributed to a select few artist rights collectives: SOCAN, SODRAC, CMRRA and RE:SOUND (in unequal shares worked out in the copyright board tariff). Those funds are then re-distributed among the members of these entities. Unsurprisingly, the amount of revenue collected from the levy has been in steady decline due to the increasing obsolescence of CDs. According to Mrs. Annie Morin, Chair of the Board of CPCC, in 2008 the levy collected $27.6M million. She reported however, that projections for 2010 are a much leaner $10.6 Million. CPCC has tried unsuccessfully in the past to institute a tariff on digital media players. The “I-Pod tax” would have added a supplementary cost of $2-$25 to media players depending on their memory capacity. This proposal was met with harsh opposition by the Conservative party and was ultimately put to sleep last year. Like the “I Pod tax”, there are several problems with this proposed levy. For starters, most people don’t use media of this type to store music or movies. The number one application for memory cards of this variety is undoubtedly use in digital cameras and smart phones to store pictures. If CPCC wants to tax memory cards, they should have to show that those cards are used substantially to copy music and movies. Furthermore, the tariff is not economically balanced. As attorney and blogger Howard Knopf points out, an 8GB card (costing roughly $13) would be subject to a $3 levy. That’s close to 25% in tax! Another problem is that the levy doesn’t acknowledge the constant decrease in the cost of removable memory storage. What now costs $13 may well decrease to $8 in 6-12 months. The levy is a fixed number so the amount collected is not subject to change with the inevitable drop in prices. 25% quickly becomes close to 40%. There isn’t much hope of the tariff being modified in a timely fashion to acknowledge decreases in price either. After all, this is the government we’re talking about; speed is not one of their virtues. Finally, and in my opinion most importantly, if the new anti-circumvention measures included in bill C-32 (Canada’s latest attempt at modernizing the Copyright Act) are realized in the next copyright bill supposedly soon to be tabled by the Conservative government, this is all a moot point. Under that bill’s anti-circumvention provision, it is illegal to break a digital lock for any reason other than the incredibly narrow list of exceptions (reverse engineering, security encryption research...). This means that even if I legally buy a song or album and legally buy blank media for which I paid the levy it would still be illegal for me to break the digital lock protecting the content. I’ve paid twice and still don’t have the right make a private copy! Some pundits in the copyright space support these levies. Others speak vehemently against them claiming that they are nothing but a waste of money and infrastructure. Personally, I believe that there are merits to a levy type system when properly executed. 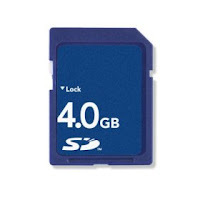 I do not believe that memory cards should be included nor do I think the system as it stands right now is effective. Every time the CPCC or SOCAN or some other collective petitions the copyright board for a new tariff, they are met with opposition. This leads to a long and costly process of hearings, and evidence that doesn’t really benefit anyone. In fact, Mr. Knopf rightly points out that the rights collective’s war chest for fighting these legal battles are those very royalties that should be distributed to their members. My other issue with the system as it is turns on the gross ineffectiveness with which certain collectives distribute these royalties. SOCAN still relies on a sample of radio content to pay out its members. There was a time when this was the only way due to technological and logistical constraints. Those times have changed! The software necessary to capture all radio play data is available. All radio stations today have digital playlists that can be transmitted in their entirety to assure that the people who actually get played get paid. Under the current system, my song can be played several times on several stations without me getting a dime if I don’t fall into SOCANS 5% net. Artists should be compensated for their success. The method currently being used to do this- namely the private copying levy- is ineffective and must be changed. It would be nice, however, if a costly legal battle of expert witnesses and statistical analysis fought with artist royalties wasn’t the only way to accomplish that goal.